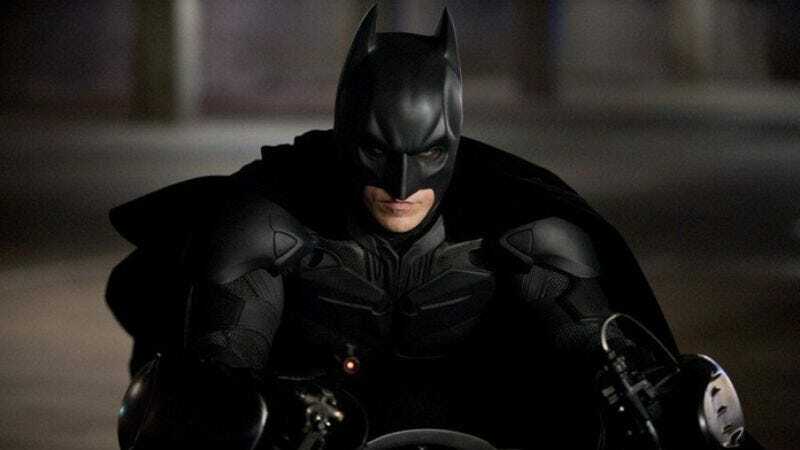 Making this summer's rivalry even more explicit, the debut of Marvel's The Avengers will be preceded by the third and final trailer for The Dark Knight Rises, which will crowd into the former's spotlight before it can even premiere. "Nobody upstages The Avengers!" The Avengers will scream as it smashes perfume bottles in its dressing room, before demanding that its terrified assistant tell it that Black Widow is prettier than Catwoman. Anyway, as The Hollywood Reporter notes, it's not the first time that Warner Bros. has gambled on the idea that comic-book movie fans might be open to seeing more than one of those before, having premiered the final trailer for The Dark Knight right before Iron Man, thus setting off in-theater debates over "DC vs. Marvel" that erupted into numerous fatal shootings, or it's possible I only imagined that. Be careful out there, just in case.